The 7th annual Anywhere in the World Raffle was a huge success—-all 2,000 tickets were sold and with the proceeds we will be able to continue to offer excellent care to the children in our program as well as continue to prepare for University level schooling for many of our scholars. The winner this year was Matt H, from Australia. 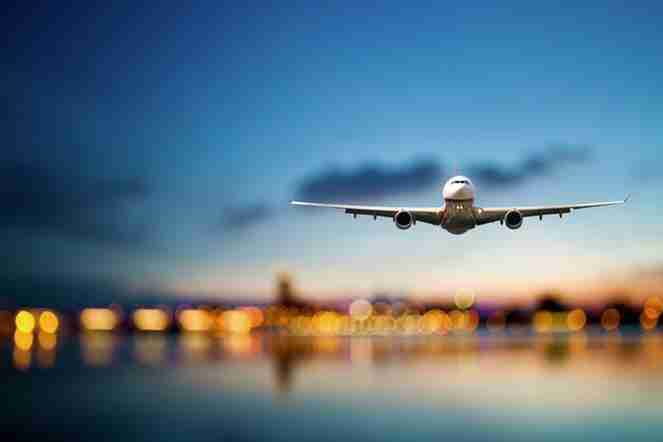 We hope he will go somewhere absolutely fantastic! Thank you so much to everyone who participated. We are so grateful for every one of you. 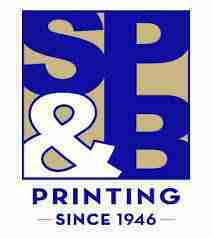 Thanks to our business sponsors, there is almost zero cost to PFP for this fundraiser and we have raised more than $40,000 with the raffle for our programs this year! We are so grateful to the following businesses for helping to make this fundraiser a success year after year! The children are in the middle of their first term of the year at their various schools. Everyone is studying hard and enjoying the opportunity to learn. Happy birthday to all of our very special children!! We are seeking interested individuals for our next Social Mission Delegation in mid-August. 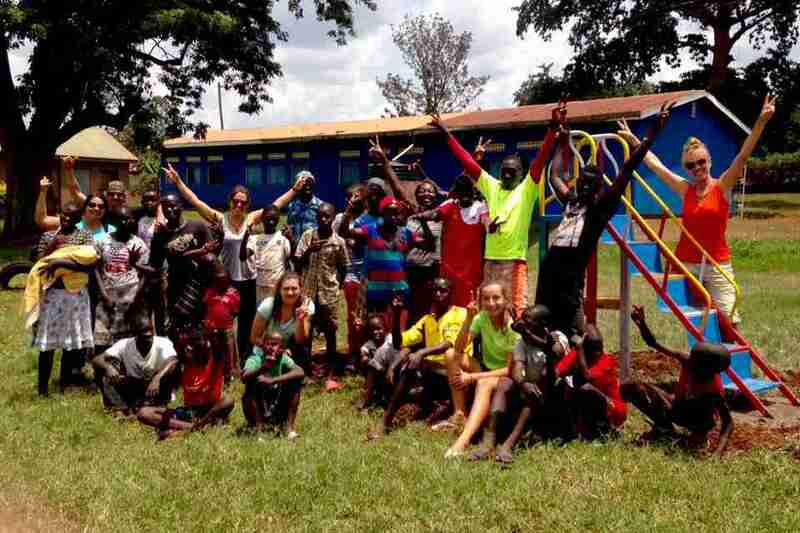 If you have ever been interested in visiting a developing country such as Uganda to give back to the community and children in need, this could be a great opportunity to make it happen. The delegation involves a group of visitors led by a PFP director working together on various community and PFP projects with an aim to make a positive and long lasting impact through all we do. The PFP director and delegates fundraise prior to their visit which will help fund the projects they will undertake and to support the sustainability of PFP. Jinja, Uganda is also a beautiful place on the Nile River with a lot to see and do. If you think you may be interested in joining this delegation, please contact hope@peaceforpaulfoundation.org for more information. We are able to lead a limited number of people, giving first priority to those who commit first so reach out to us now if you are interested! 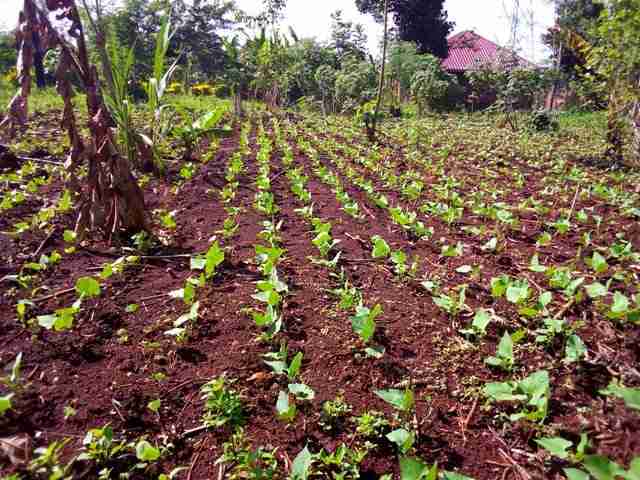 On NRF, we are growing cabbage, peppers, sukuma wiki, egg plant, carrots, beans, tomatoes, bananas, passion fruit, lemon grass, maize, pineapples and pumpkins. 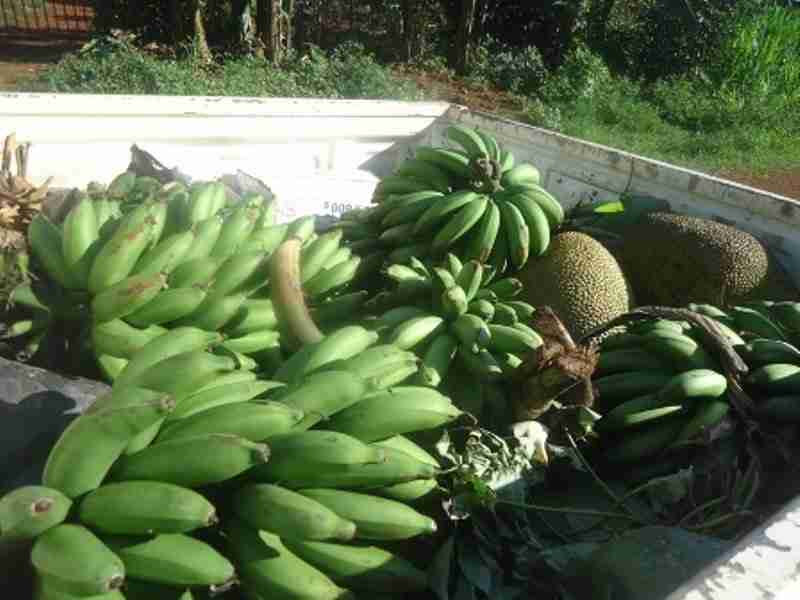 Crops are being sold to the PFP homes and to local communities. In an effort to decrease the costs associated with purchasing manure for fertilizer, we are expanding our pig project and have added five additional pigs to the farm this month. The pigs are growing and are happy at the farm. 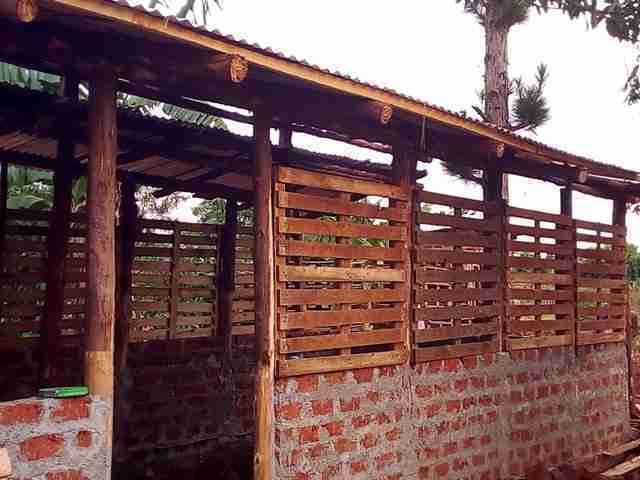 Construction of the chicken coop has been completed and this month, we introduced 50 chickens to our farm family. The chickens will not only provide meat and eggs for the homes and surrounding communities, but much needed fertilizer for the farm itself. 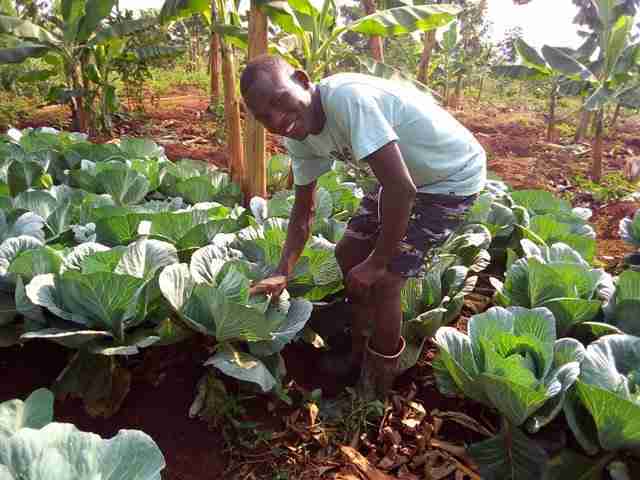 Many wonderful people contributed to ensure that the Nile River Farm and PFP home gardens are a success. We have had donors for many crops, including carrots, bananas, cucumbers and sweet potatoes. Some of these have already been harvested with others on the way soon. They have been used to feed the PFP children as well as being sold in the local markets. We hope to eventually have Nile River Farm and our children’s home gardens be a profitable business that will help sustain PFP from within Uganda. And our children are learning all about growing food and are so proud of what they have accomplished. Thanks donors for all your support! 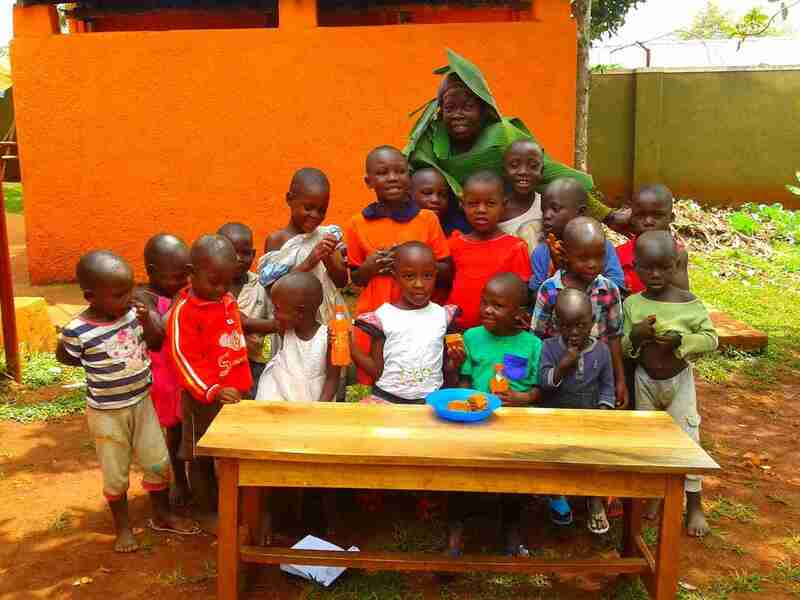 The PFP Junior Program allows us to help a larger number of needy Ugandan children obtain an education. 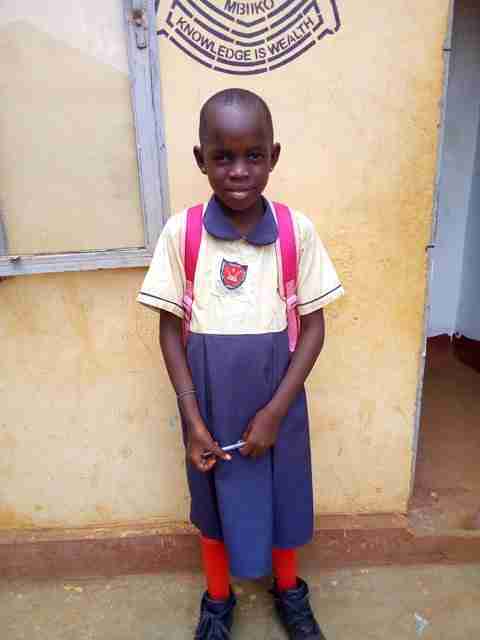 The children who benefit from this program live in our neighborhood, however, their parents or guardians are unable to afford the full amount of school fees, uniforms and school supplies which are often more than a family can earn in a month. Because these children have families to look after them, they will not be living in our homes. 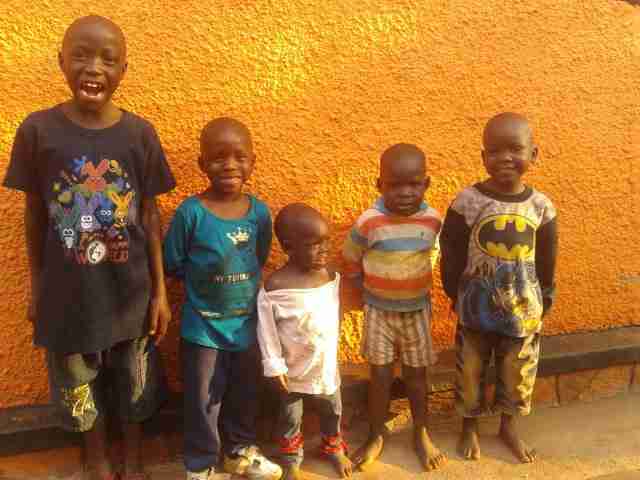 Rather, they will live with their families and be sponsored through PFP for educational support. This program is designed to be a helping hand to parents who care for their child but need support to ensure their child can obtain an education and have a positive future. 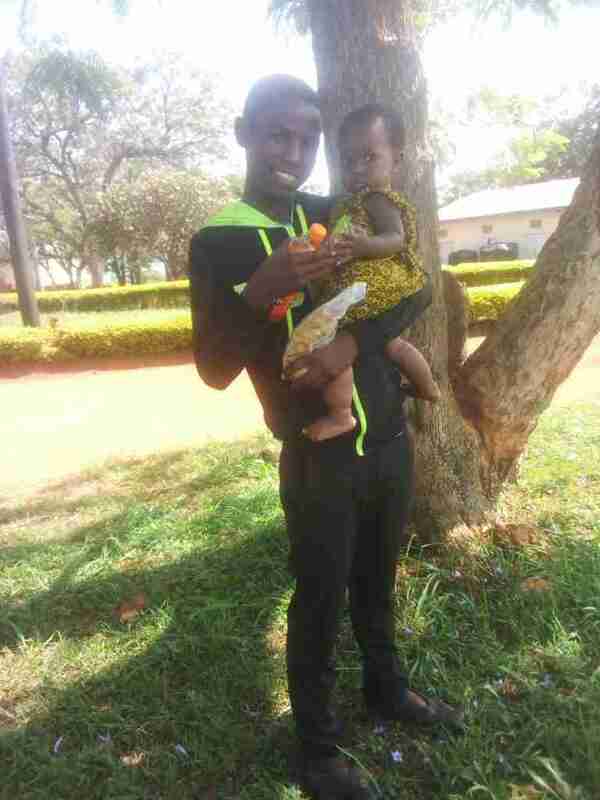 The parents contribute a small portion of school fees to keep them involved and empowered to educate their children instead of depending solely on handouts. This program allows an education to be attainable for so many children and their families. In addition, we are saving and planning for the much higher costs of secondary school for the students. We are always looking for sponsors for children in this program. Almost every child in Uganda dreams of an education, but only some see that become a reality. 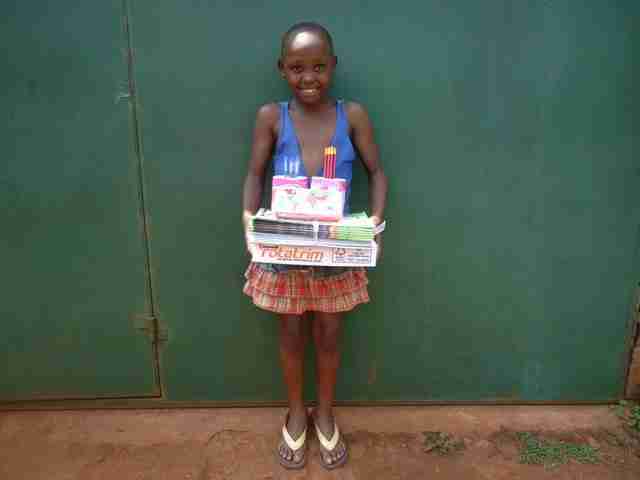 You can make that dream come true for a child by sponsoring for only $35 USD per month. This will cover school supplies, uniforms and some or all of the school fees depending on the family’s ability to contribute. 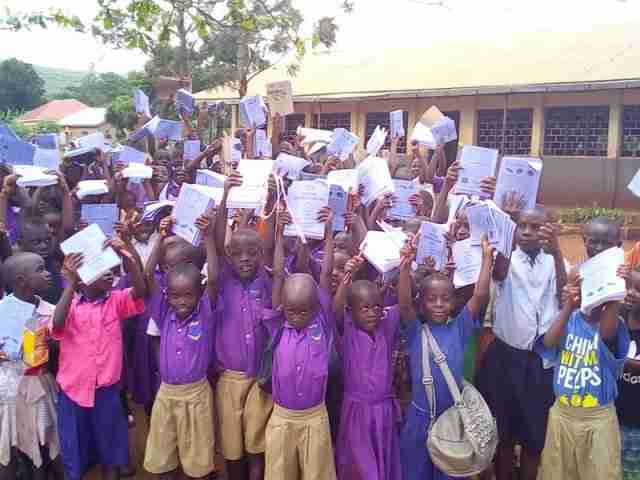 This sponsorship also supports many community handouts of school supplies to local students who often lack even the basics of pencils and paper to study. Please contact hope@peaceforpaulfoundation.org if you would like to learn more about children currently seeking sponsorship to start school. The Juniors Program sponsors an outreach program at local schools in the community each term. The goal is to reach the students who lack the basic supplies to study. This term, over 100 students benefited from this outreach. 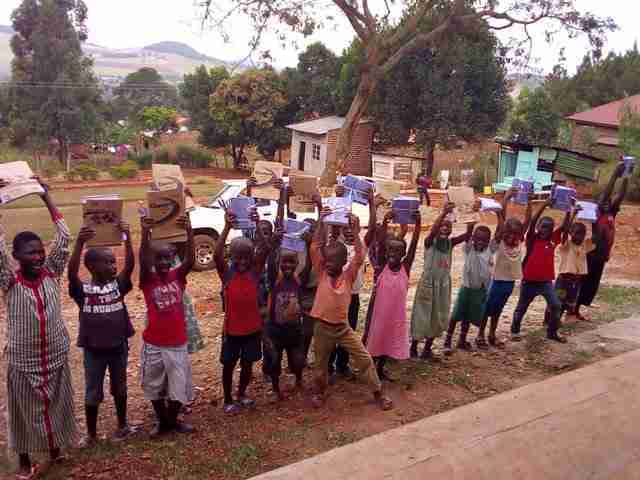 They were given notebooks, pens and pencils and they couldn’t have been happier. We hope to continue this and reach more and more students with these essential learning tools! Come and see us in person at the next ROAR event in Vancouver, WA on May 24th at 7:30 PM. We would love to see you there! Check them out at https://www.roarvoices.com.